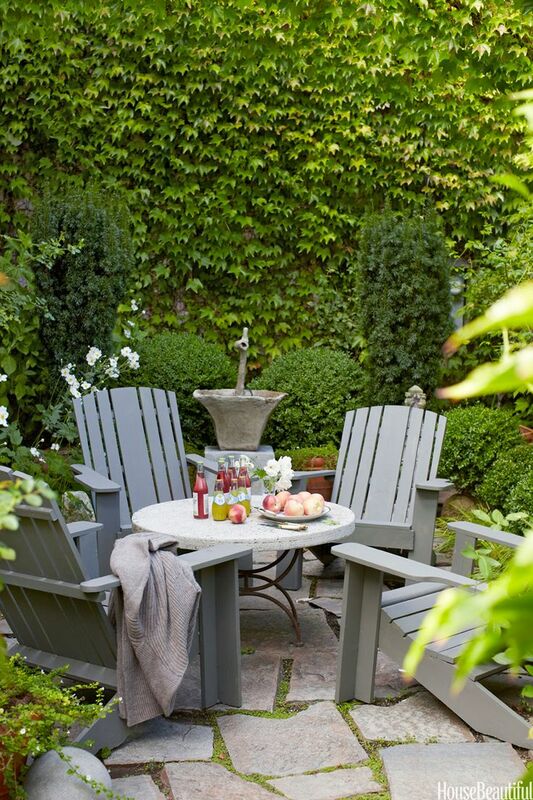 Everybody wants a dreamy patio where you can just sit, relax and enjoy the day! 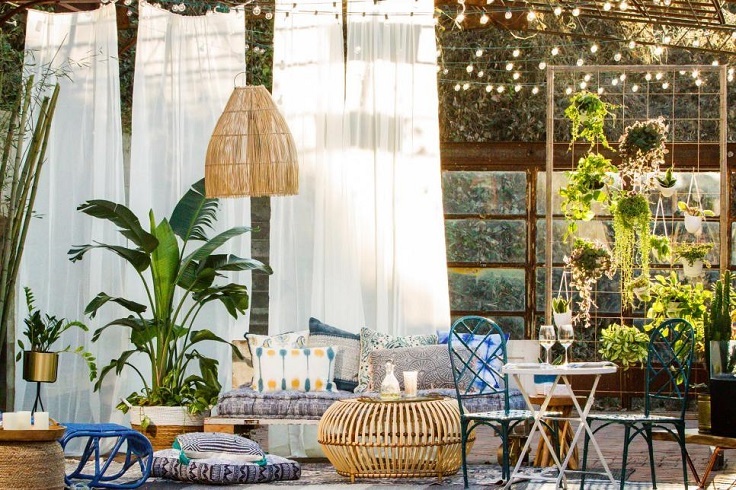 However, not all of us are blessed with plenty of space in our backyard, yet this isn’t something that should be discouraging – with the right furniture and its arrangement, even the smallest of patios can be enough. The small patio should be inviting enough to spend your summer nights outside, enjoying the weather and having fun! There are plenty of ways you can do to achieve this kind of atmosphere and it doesn’t necessarily mean you would spend a lot! 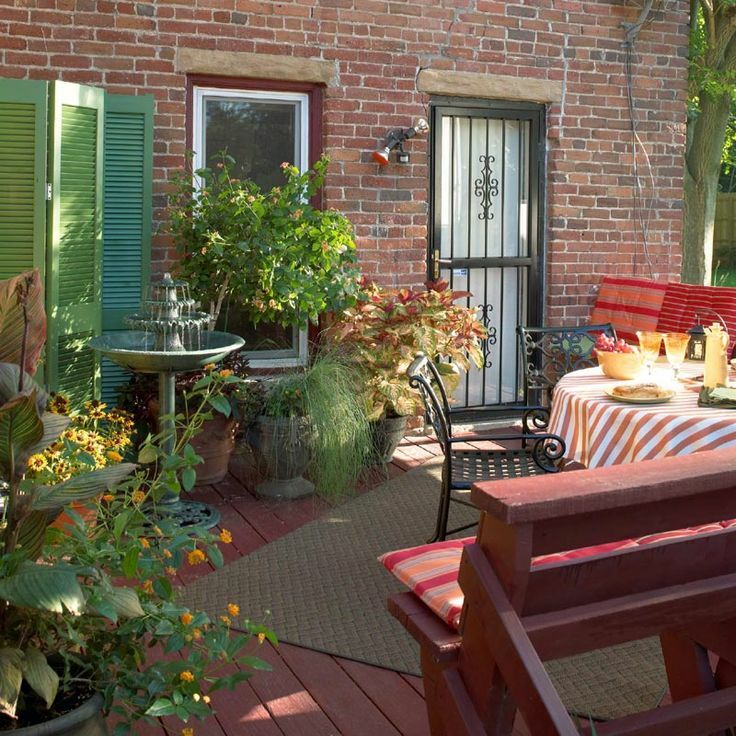 Check out our ten favorite small patio ideas – which one would you like to try out yourself? String lights are very charming. They know how to turn any room’s atmosphere into a lovely, dreamy space – not to mention that it makes it so Instagrammable! 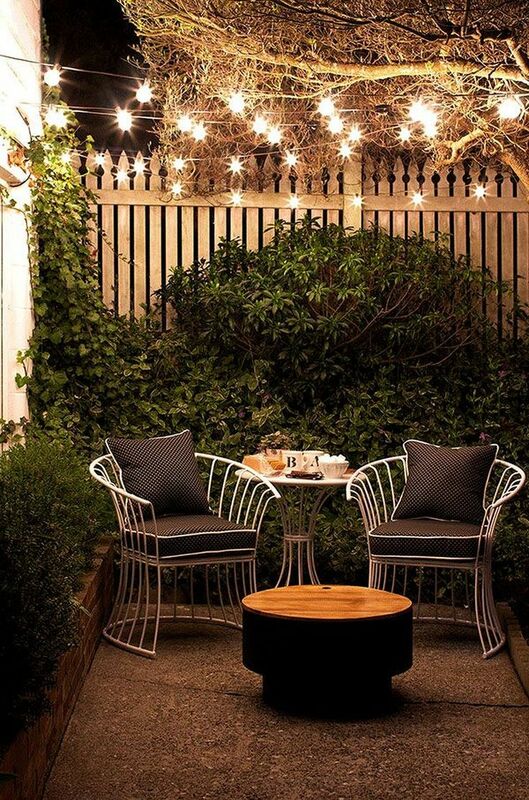 This is a very simple and cheap way of decorating the patio – all you need is just a pair of string lights, which you can easily find in stores or purchase them online. Boho is the kind of style that never goes out of style. 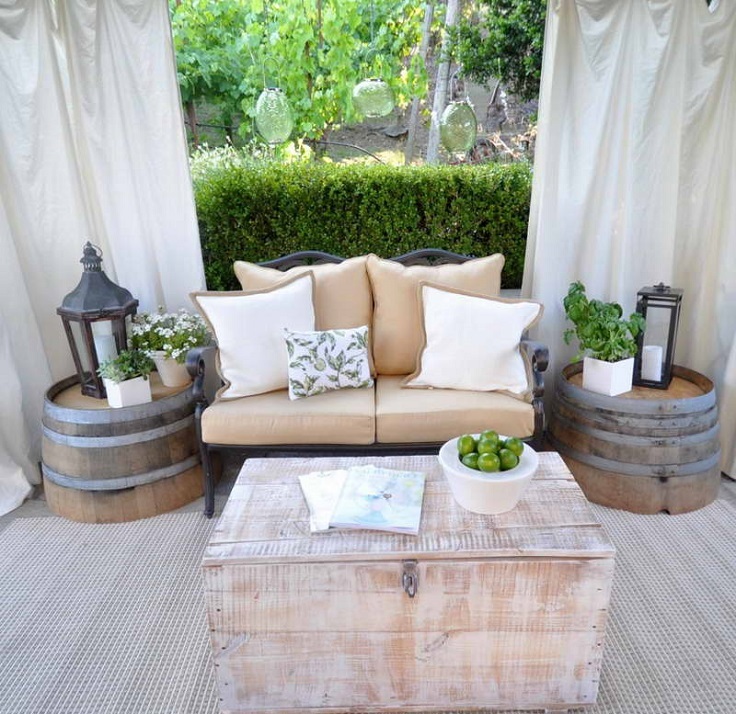 It’s fun to style any space, including the patio this way! You can get your old stuff, buy some second-hand items or get completely new ones – it’s totally up to you. Make sure to have all kinds of things boho – an ethnic rug, plenty of plants, vintage furniture, including ottoman chairs. The Parisian style is something that always leaves us breathless! It’s hard not to admire it, and even harder not to want it for our home as well. 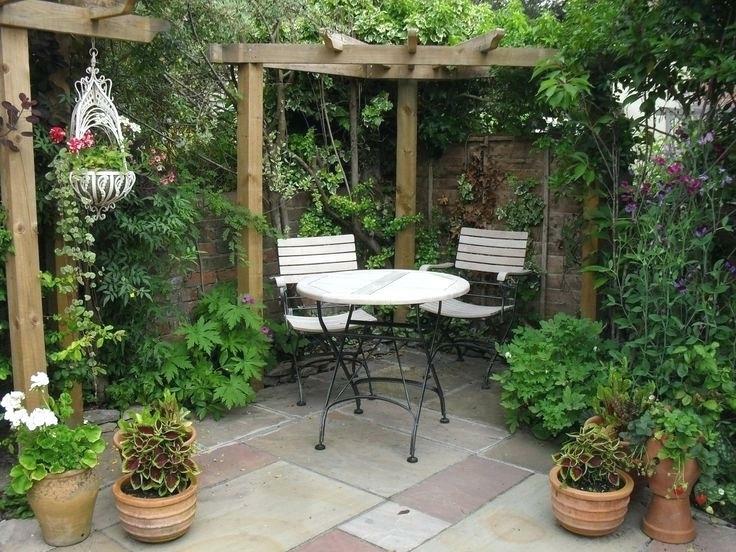 The patio is the space where you can experiment with this and it doesn’t mean too many costs. If you have dreamy, greenery corner, you can place a Parisian-style furniture and add a vase with pretty flowers on the table as well! The rustic style adds a certain warmth to any space. It creates that home-sweet-home vibes! For this kind of patio, go for things made out of wood. The older they look, the more charm they add to the look. You can decorate even more by adding barrels, lanterns and of course – what would we do without flowers? Not everywhere you go you will see this kind of patio. 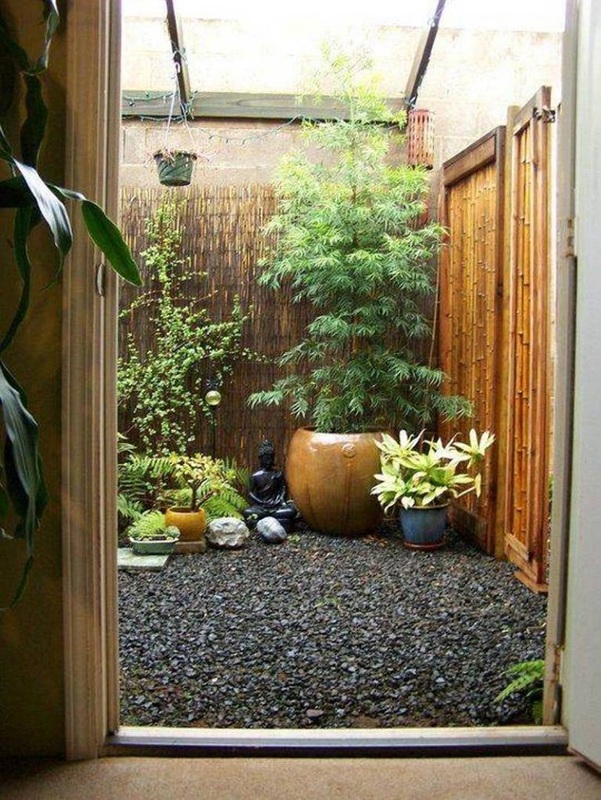 Inspired by the Japanese culture, this way your patio will be very unique and can be even your little gateway from the ordinary. You will have to invest a little bit in this kind of patio, starting with getting enough pebbles and different types of plants that have Japanese origins. 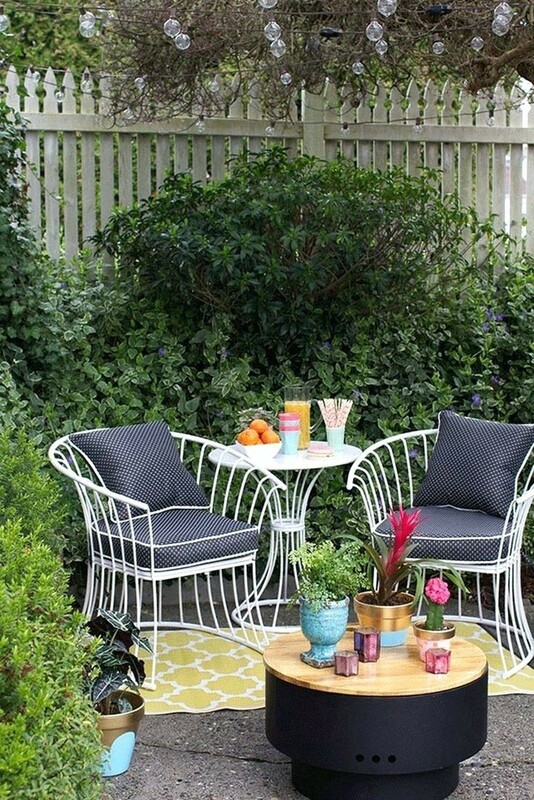 If you’re not able to change any of the patio’s furniture, then the quickest way to make it more adorable is to get new flowers and place them right here! You will definitely have plenty of fun with this task because there are so many beautiful flowers you can buy, so many different colors and varieties. If you think that things can’t get any more beautiful, you will change your mind if you get yourself scented flowers! The arbor will definitely cost you more than getting just flowers, but if you’re able to spend money on it, know that it will be a great investment. The arbor is a very nice addition to any patio that not only will make it look gorgeous with all the flowers or trees intertwining, but it will also give a nice shadow during hot summer days! 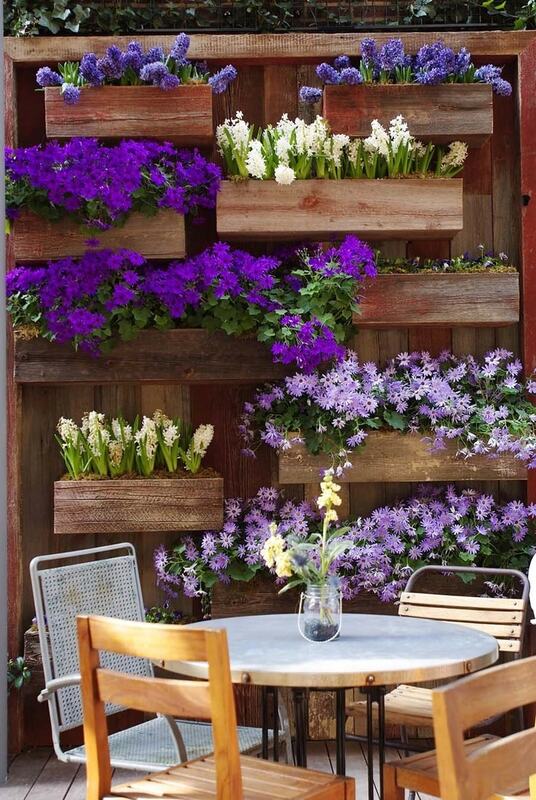 Tres chic, with inspiration from the Parisian style again, is something that many of us dream to have in the garden! 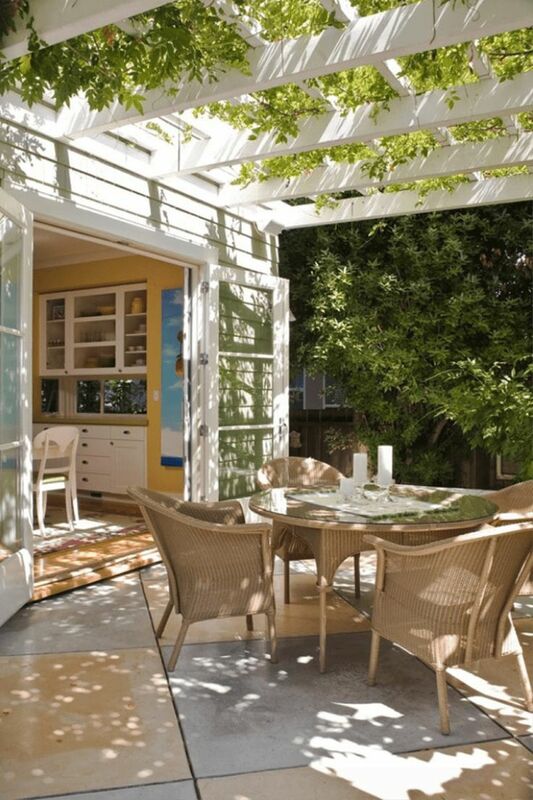 It looks so gorgeous, it simply makes us want to stay outside and enjoy the day in this kind of patio. A small fountain, a classy furniture with pillows, plenty of beautiful flowers and small trees, your favorite book and a cup of coffee or tea – isn’t this so heart-melting? Many people go for having fire pits and this is something that would be very practical as well. After all, summer nights spent by the fire pit, while preparing our favorite S’more dessert and laughing with our friends and family – this is something we all love, right? If you don’t want to experiment with different styles, but rather want something more natural, then the solution is very simple – get as many as plants as you can! Make your patio a small nature paradise, take good care of the plants and they will reward you with amazing bloom during spring and summer.